On Wednesday 18 July 2018, the committee of ambassadors of the member states to the EU (Coreper) held an orientational debate about the need for reforms of the Council’s transparency policy, thus Agence Europe reports. The debate, which appears as the opening move in a further series of discussions about potential changes to the Council’s internal transparency policy, was based on a series of proposals drafted by the Council’s Secretariat. This document discusses possible and necessary changes in the face of new case law and further external pressures. The proposals include, inter alia, ways to make the legislative process more traceable and ‘readable’, to apply more consistent rules in the drafting of legislative documents, and to centre transparency around “milestones” in the legislative process. Furthermore, it puts forward a plan to ‘normalise’ the publication of member state inputs (statements, proposals for amendments) into legislative debates. Under the current rules, the Council applies a fragmented policy by which member state inputs are sometimes recorded in the official documents, and sometimes not at all. The Council has so far been able to apply this policy since the formal rules do not stipulate how a legislative document is supposed to be drafted. The debate follows two recent significant blows to the Council’s internal working methods. In February of this year, the European Ombudsman published the findings of a scathing report concerning the state of the Council preparatory work in legislative proceedings, establishing both instances of maladministrations and a decision-making process that is largely impenetrable for ordinary citizens while negotiations are ongoing. To this end, she submitted a special report to the European Parliament on 16 May. 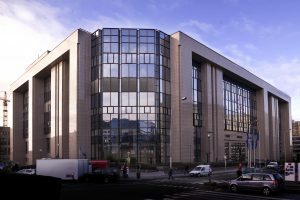 Furthermore, in a recent court judgment concerning transparency gaps in the informal trilogue negotiations pertaining to the legislative process (the so-called De Capitani case), the court ruled against the European Parliament -and thereby also the Council, which participates in the trilogues and which had intervened on the Parliament’s behalf-, finding that trilogue documents should be fully and immediately disclosed in order to meet a sufficient standard of democratic legitimacy of the legislative process. Signficantly, the Council Secretariat’s memorandum on transparency acknowledges that “following the De Capitani case law, there is little room left for refusing access to documents produced for trialogues when a request for public access is submitted”, according to Agence Europe. Because of the persistent negative publicity around the Council’s transparency record, the EU’s Conference of National Parliamentary EU Committees (COSAC) also got involved a few months ago, when it requested the Presidents of various European institutions to offer their view on how transparency of European decision making could be further enhanced. A recent letter sent to Eurogroup President Mario Centeno suggests that COSAC received no response at all from some, while it considered the responses it did receive to be far from satisfying. The current European Ombudsman, Emily O’Reilley, has in her term emerged as an outspoken champion of the transparency cause. In a recent speech at the Centre for European Policy Studies, a Brussels-based think tank, she contended that the “[transparency] black hole comes about mainly because [of] the Council”, whose decision-making style “suggests that the EU is something that is ‘done to them’, rather than something they can participate in and influence”. This, she argued “helps enable the ‘blame Brussels’ culture which we all know”, and strengthens the hand of populists. This entry was posted on Thursday, August 2nd, 2018 at 12:21 pm	and is filed under Case law, Civil society, Practice. You can follow any responses to this entry through the RSS 2.0 feed. Responses are currently closed, but you can trackback from your own site.